When you have plenty of records to show, you don't need to show them all at a time. We should show them based on user interest. Here I implemented the program to show the records with " Load more records " feature. Here We are using limitTo filter control the number of records to display. 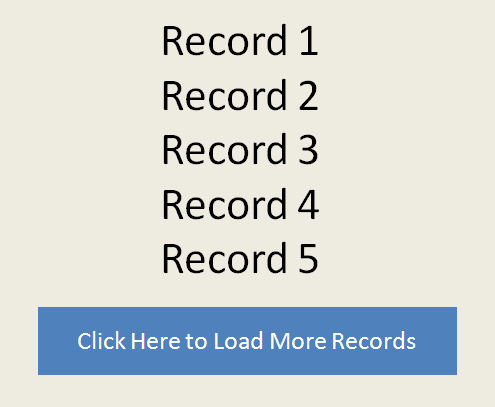 Whenever user clicks on below button, record limit will be increased and more records will be displayed.